All rides can’t be golden. When things go sideways, the goal may be simply getting everyone home safe and sound, with nothing too traumatic to remember. If you look at those rides with a big lens, you’ll see they are blessings in disguise, for they may reveal missteps and holes in your training. It was a brilliant fall day as we set out for the radio tower – eight miles away with a climb of 2,500 feet elevation. My plan was to ride Pep all the way there, ponying Jolene. 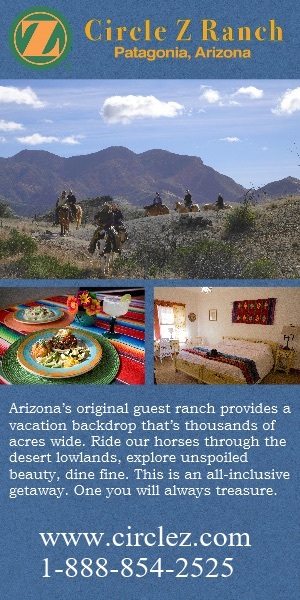 Then we’d stop, snack, and rest before putting the saddle on Jolene and riding her home, ponying the pony. Kip, who has become a great Ride-Along-Dog, joined us. The trek to the tower was fantastic. We all worked hard, as much of the trail is rocky and steep. I got off and walked for two sketchy stretches that had us breathing hard and stumbling over football-sized rocks. 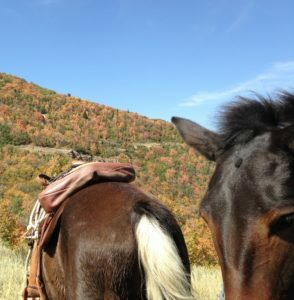 At the tower, I tied the girls to young aspens, took off the saddle, and let them graze. Green grass is a helluva treat as our pasture is little more than juniper and sage. Things got awry when we started heading home. I had been riding a wave of confidence with Jolene’s progress and assumed that she’d be cool with ponying. Big mistake. At first try, she felt the tension of the line on her haunches and spun to get away from it. By the time she’d relaxed, her belly and legs were covered in small burrs (making her even more agitated) and Pep was loose. I got off, cleaned off the burrs, caught and tied Pep and got back on the mule. For 100 yards, Jolene was ok. But with Pep consistently behind her, she felt pressured to speed up. Pep sped up to keep up. 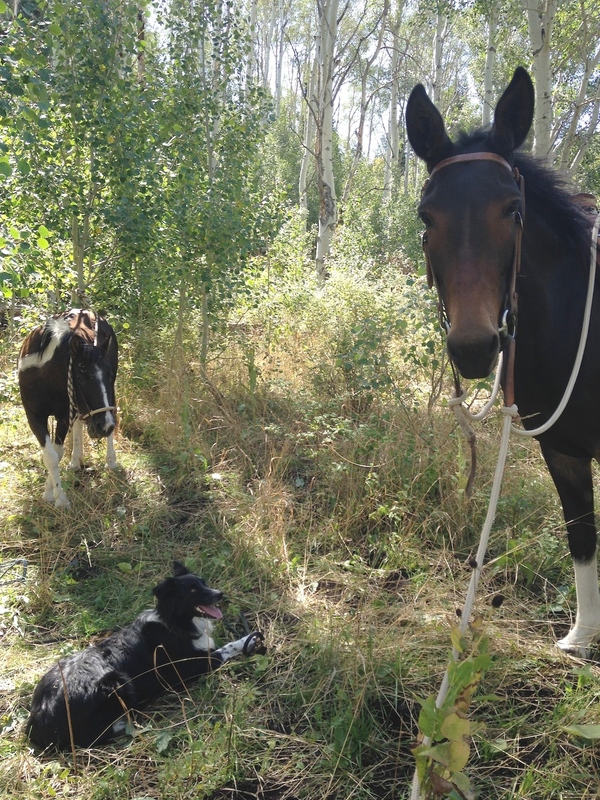 Jolene went from walk to trot to fleeing this pony-turned-predator. Again, I dropped the ponying line and got Jolene under control. Since Pep wanted to eat, stay with Jolene, and head home, I let her go free. There were no other obstacles (traffic, quad riders, barbed wire, gates or roads) to consider. It was a quirky scene: Kip led the way, followed by me and Jolene, followed by Pep, more than a hundred yards back, grazing and having a lovely time. With a mile left, we stopped to rest in a meadow. 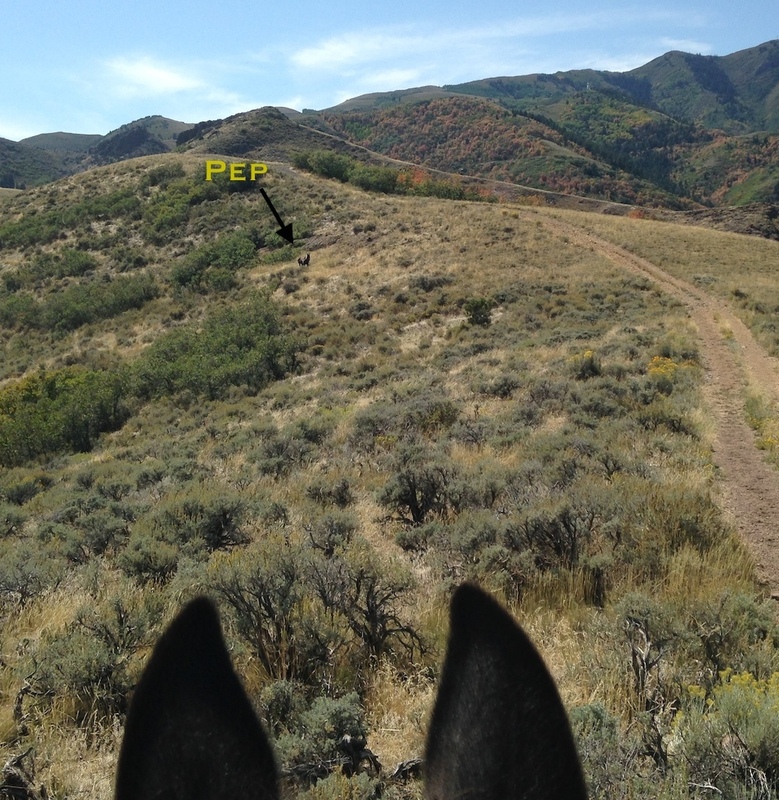 I switched mounts and saddled Pep since the trails tend to get busier here. We finished up our five-hour ride with hay and long drinks of water. It was a tough lesson. But I learn again that there were holes in our training and that I’d leapt forward without filling them in. Next, we’re headed for the round pen. Thanks to a crummy ride, I know even better what work I have to do. See more images from the ride on our Facebook Page. Posted in Dogs and Horses, General, Mule, On the Trail, Utah and tagged mule, Oquirrh mountains, trail riding. Great post!! Even greater thinking on the fly, so to speak. It’s always a good thing when we can find some spot in our training we’ve left undone…now you have a purpose to your work sessions and something to measure it against as well. Not all horses (or mules) will pony another horse well. My low-on-the-totem-pole mare dislikes a horse staying right at her hip…she always feels threatened and pushed by the ponied horse. Thanks, Julie! You’re so right — it’s great to be able to solve a problem on the fly and make the best of a bad situation. In that way, this ride did help my confidence a bit. As for the now obvious hole — one never knows until you push outside that circle of comfort.